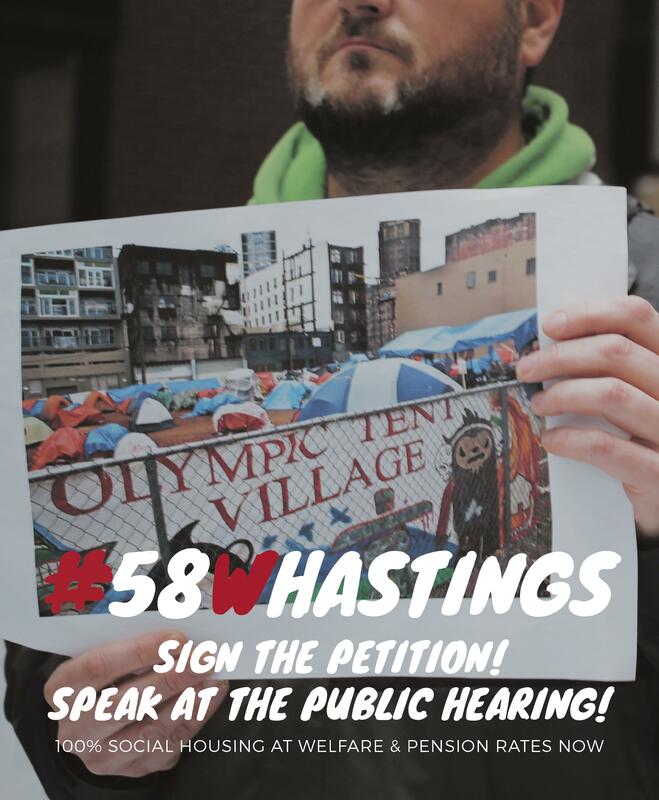 Have you signed up to speak for the #58WHastings public hearing on Jan.16? We need as many people to speak or email their comments in support of 100% welfare/pension rate social housing! Sign up/email comments at publichearing@vancouver.ca or call 604-829-4238. 1) Keep your comments short – Individuals speaking at the public hearing have 5 minutes to speak while organizations have 8 minutes. The proposed project the city is going with could provide as few as 70 units instead of 300 at a time with record high homelessness.